What’s better than a sun-soaked pool deck or lounge chair on the sand? A spot that combines the two. 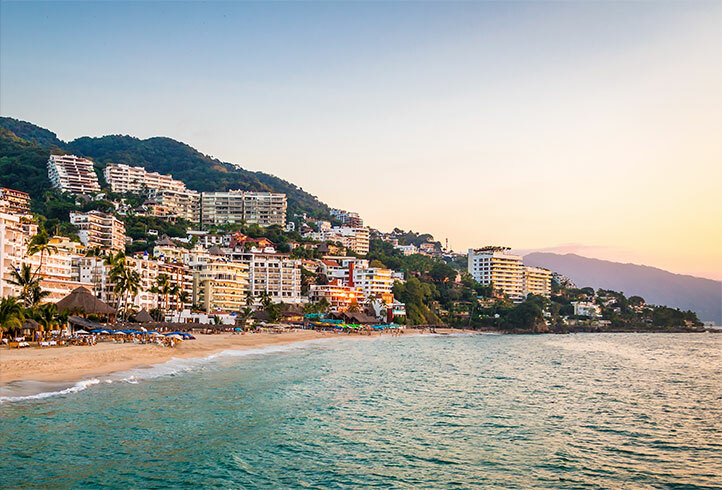 If you have high expectations for every vacation—you need palm trees, great views, a pool bar, a shady spot, a sandy beach to stroll, and nothing less—we’ve got you covered. Spending time on a Caribbean beach is paradise enough, but doing so with a beautiful beachfront pool to enjoy at the same time is the ultimate setup. 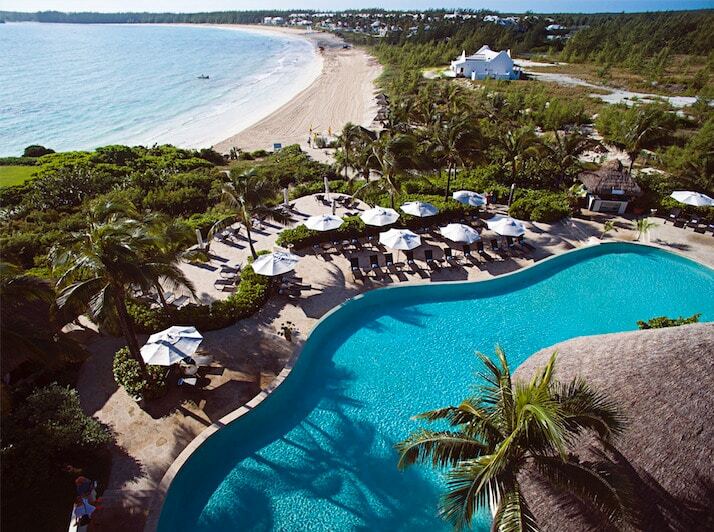 Check out our list of the most beautiful beachfront pools in the Caribbean. 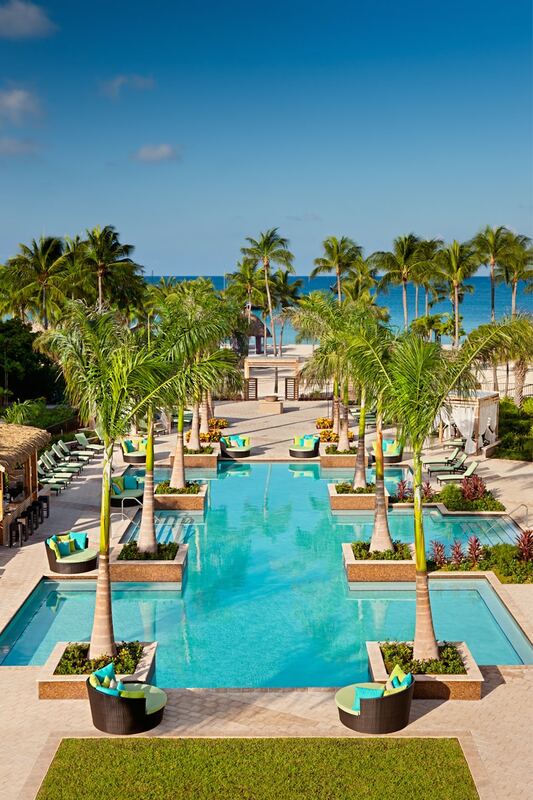 The adults-only H2Oasis pool at Aruba Marriott Resort & Stellaris Casino sits on peaceful Palm Beach. 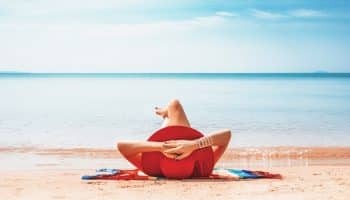 With panoramic views of the Caribbean Sea, private cabanas, daily complimentary fruit kabobs and sample shots of the resort’s specialty cocktails before happy hour, it’s the kind of place you could spend an entire day and leave wishing you had more time. 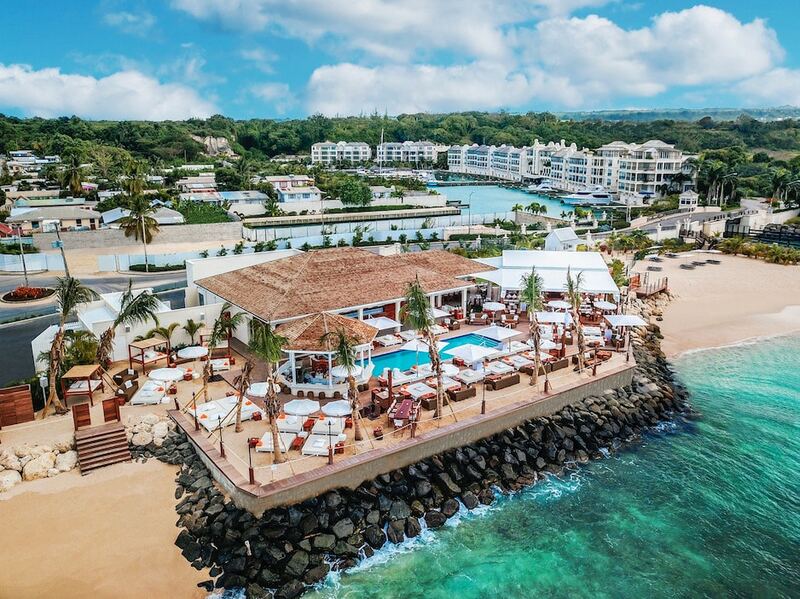 Silversands Grenada, set to open November 2018, is a modern luxury resort on the island of Grenada. 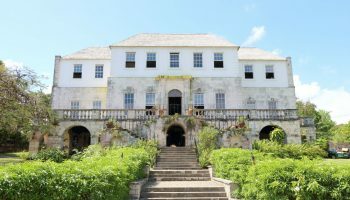 Its 100-meter infinity pool will premiere as the longest in the Caribbean, stretching from the hotel’s lobby to the glistening sand of Grand Anse Beach. If that doesn’t hook you in, the onsite cigar and rum lounge and beach club will. 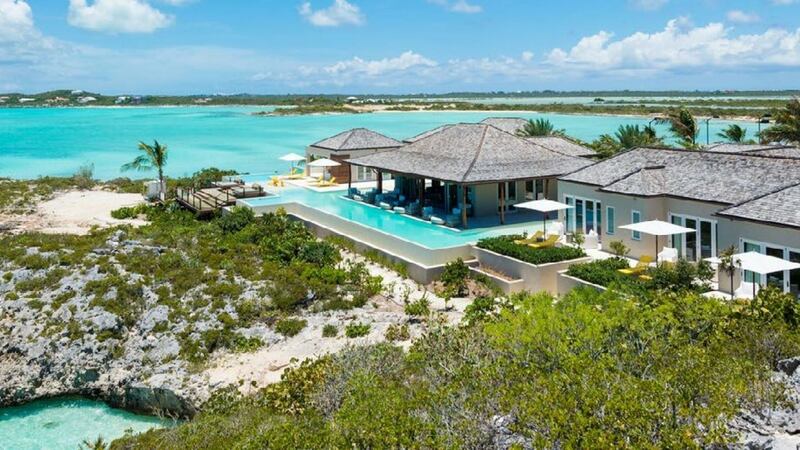 Or, if privacy is your aim, stay in one of the five beachfront villas, each with their own infinity pool. Stay in a tropical residence overlooking Grace Bay, one of the world’s top-rated beaches. Villa Kitty hides in Providenciales on the island of Turks & Caicos. This private property has a 4.5-acre peninsula with its own 90-foot dock for yacht mooring. The expansive wrap-around infinity-edge pool features modern LED lighting, multiple outdoor lounge and daybed areas, a contemporary fire-pit daybed pavilion and even an outdoor pizza oven. 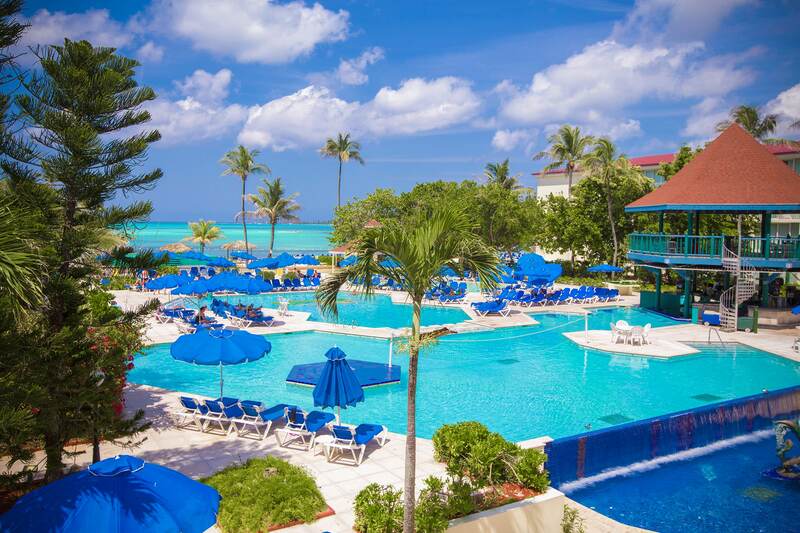 The pool at the Grand Palladium Jamaica Resort & Spa is one of the largest in the Caribbean. It overlooks the beach and features four built-in jacuzzis as well as a swim-up bar. 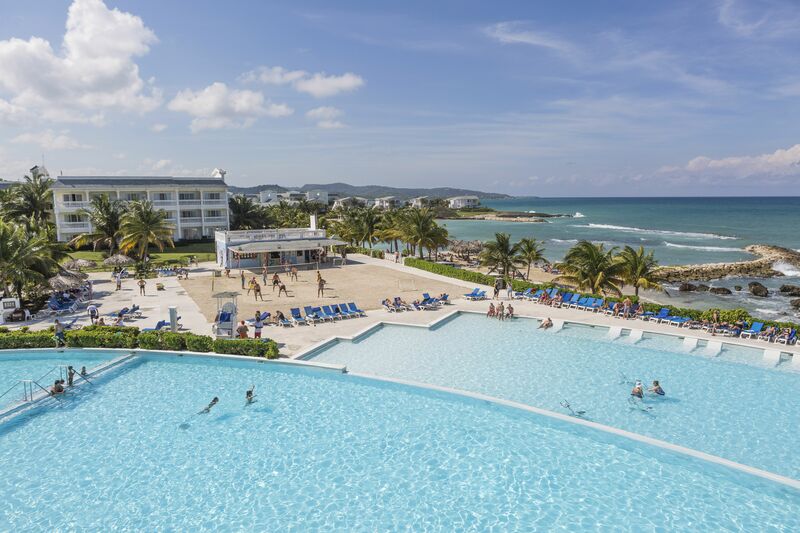 The all-inclusive resort complex features ten restaurants, eight bars, a kids’ club and a beautiful spa. 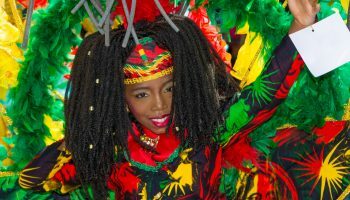 A popular but hush-hush beach bar located on the northwest part of Barbados, Nikki Beach Barbados provides oceanfront seating for up to 200 guests. 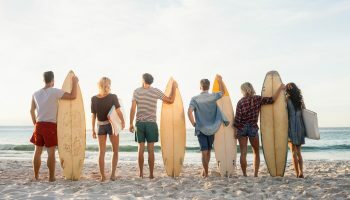 With a swim-up octagon wet bar, oversized luxury pool beds and VIP cabanas, resident DJs, an in-house saxophonist, and over 50 speakers to keep the party pumping, it’s easy to see what makes this beach bar such a hotspot. Don’t forget to try the famous Nikki Beach Mojito. 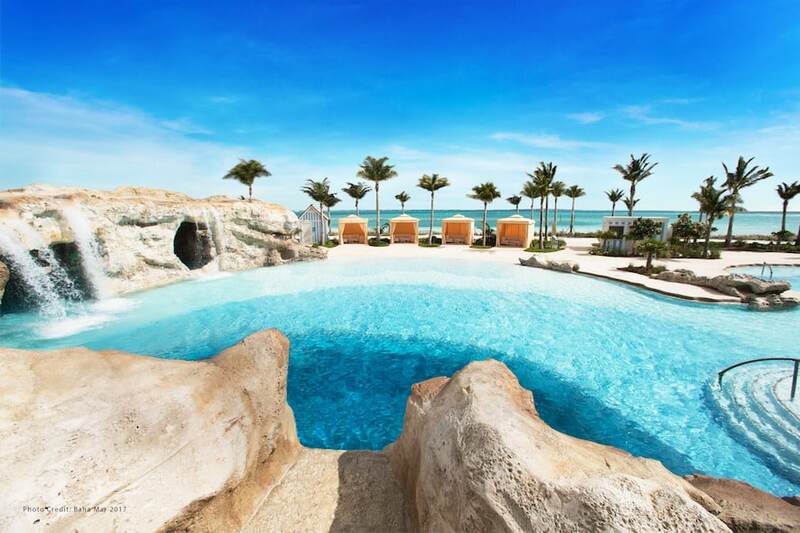 At Grand Isle Resort & Spa in Great Exuma, Bahamas, the sparkling waters of Emerald Bay make the perfect backdrop for the hotel’s free-form infinity-edge pool. 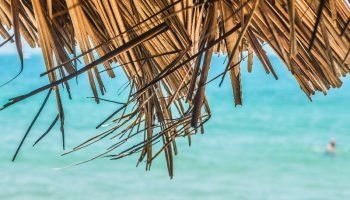 Surrounded by an expansive sundeck patio directly on the beach, guests enjoy poolside or beachfront food and drink service from the resort’s Palapa Grill. For blues as far as the eye can see, head to Breezes Resort & Spa in Nassau, Bahamas. 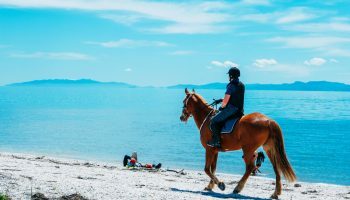 The resort has three onsite freshwater pools—the mist pool, main pool and Sip and Dip pool, featuring a swim-up bar—plus a jacuzzi. The white sands of Cable Beach and clear water of the Caribbean Sea make for the perfect view from any of the resort’s pools. 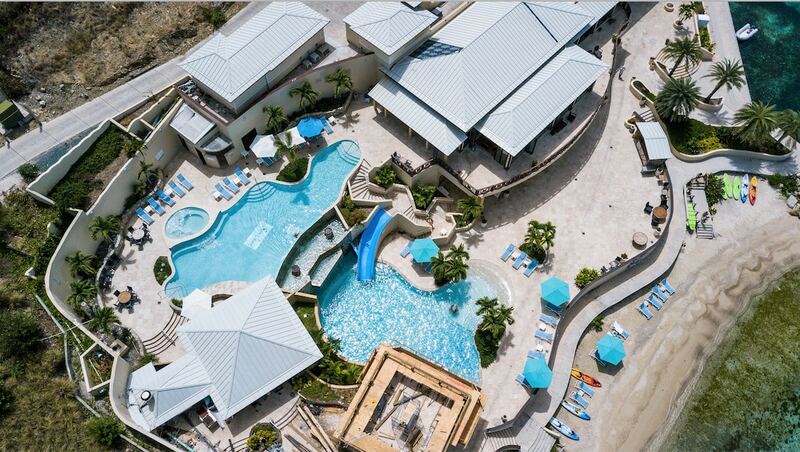 Breezes is called the first and only Super-Inclusive® resort in the Bahamas, as almost everything you can eat, drink and do is included in one price with no tipping allowed. It doesn’t get much closer when it comes to pools on the beach. 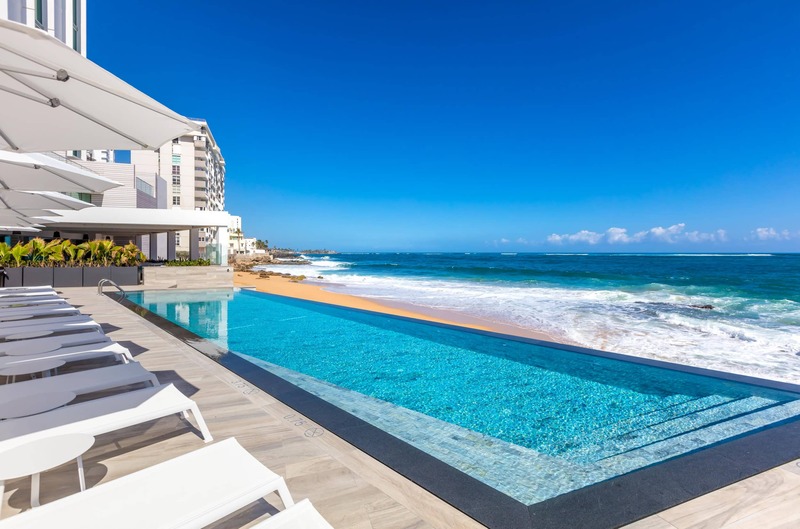 Serafina Beach Hotel is a hotspot in San Juan, Puerto Rico that just opened in March 2018. With an infinity pool set on the shores of a semi-private beach, the Serafina offers unparalleled ocean views and craft cocktails at its By The Pool lounge. Mexico’s Andaz Mayakoba Resort Riviera Maya is situated on 590 acres of oceanfront land, preserved mangroves and lagoon surroundings. 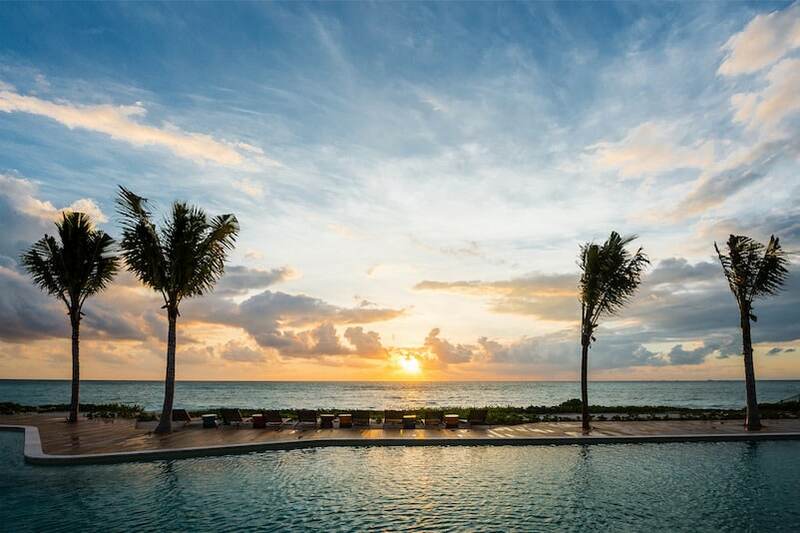 Just north of Playa del Carmen, Andaz Mayakoba Resort transports guests to a hidden paradise where they can hang on the edge of the pool and hear the sound of crashing waves. The centerpiece of Scrub Island Resort is a lagoon-style, multi-tiered pool with waterfalls and infinity-edge views in the British Virgin Islands. 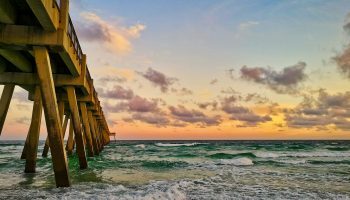 It was recently fully resurfaced and refinished after Hurricane Irma. For the young and young-at-heart, there’s a waterslide for plenty of seaside fun. Once you wear yourself out, head to the swim-up bar for a cocktail or loosen up in the hot tub. 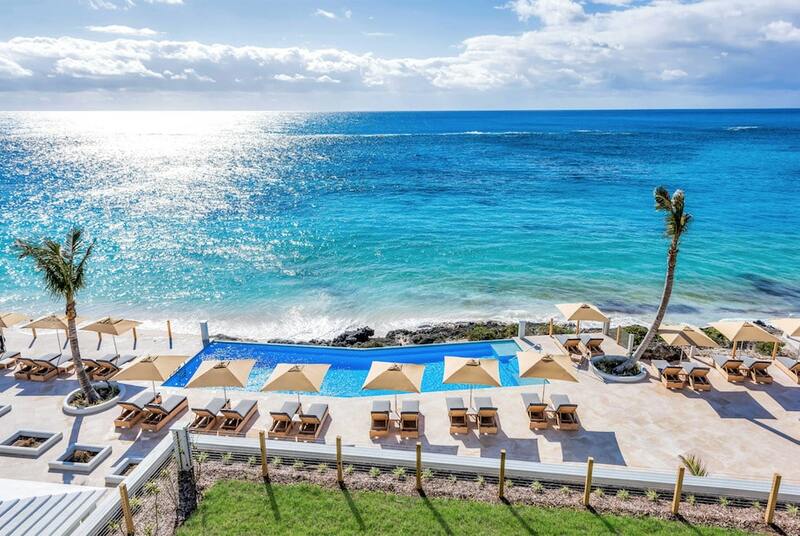 The Loren at Pink Beach is Bermuda’s first new-build hotel in 45 years, greeting guests with dramatic ocean views just past the infinity pools carved into the rocks on the beach. Just below the pool deck, guests walk out onto the rose-colored sand of one of Bermuda’s famous pink beaches. 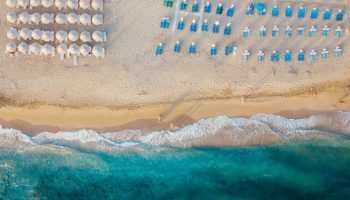 With two restaurants on property, the oceanfront Pink Beach Club and Marée fine dining, you’ll have ample space to kick back and enjoy. Situated on Grand Bahama Island, Lighthouse Pointe at Grand Lucayan provides acres of beachfront bliss and features two swimming pools: an infinity pool overlooking the ocean and a lap pool for squeezing in a refreshing workout. With a beachfront bar and easy access to the sand, it provides the ideal tropical escape. 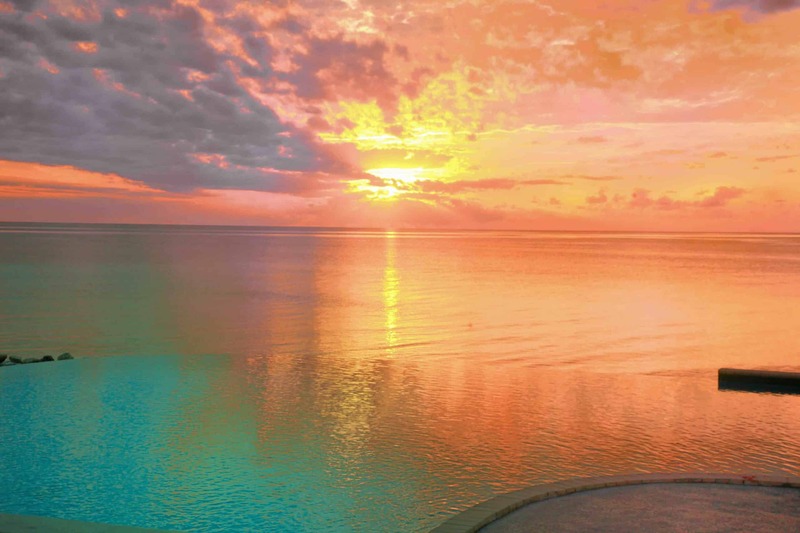 The oceanfront pool at Deep Water Cay, Bahamas provides endless water views and reflects magnificent sunsets in the evenings. Deep Water Cay is a private island located just off of Grand Bahama Island, only accessible by private air charter or ferry. An adjacent bar means you never have to break away from this breathtaking spot. What’s better than an infinity pool? 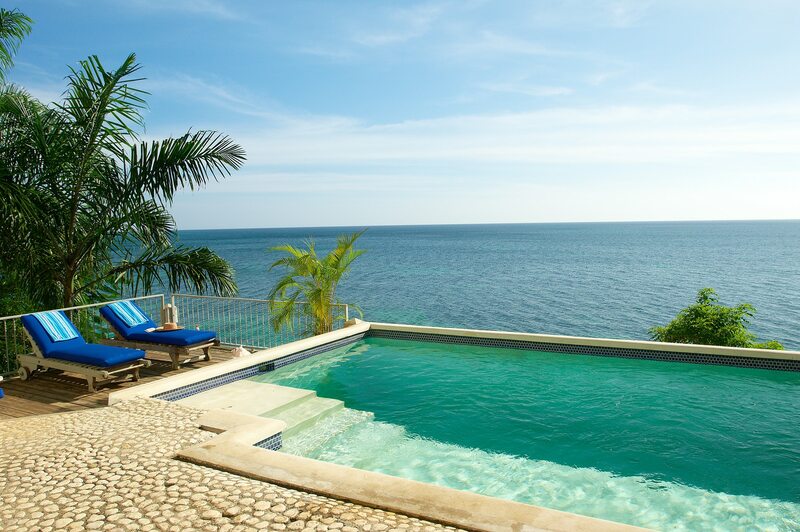 A cliffside, seafront infinity pool in Jamaica. 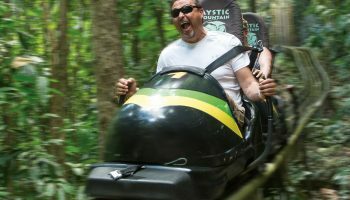 At Bluefields Bay Villas Providence House, you’ll find just that, plus a private cave with hammocks, lounge chairs and a dining area just 46 steps below at the edge of the sea. 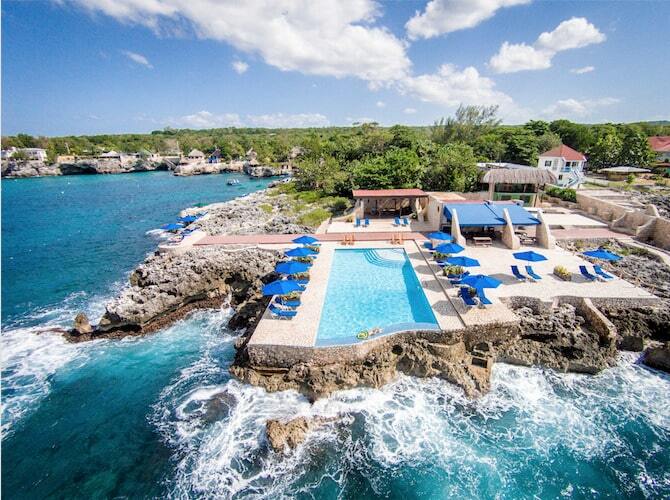 Another clifftop beauty, the infinity pool at Rockhouse Hotel in Negril, Jamaica, is a real stunner. Built onto volcanic rocks and jutting out into the sea, this pool blurs the lines between swimming spots. As you lounge by the pool, the ocean waves of Pristine Cove gently splash into the pool, making for the perfect seaside escape. Plus, since the pool faces west, it makes an ideal viewpoint for taking in sunsets. 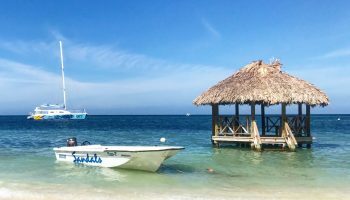 The Rockhouse team debuts a new beachfront sister property on Negril’s Seven Mile Beach this fall: Skylark Negril Beach Resort. Ever wanted to dive into a blue hole? 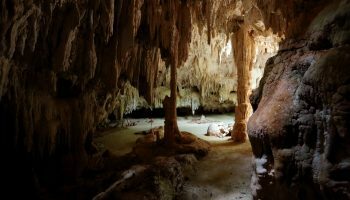 At the Grand Hyatt Baha Mar in Nassau, one of the pools boasts an underwater marine cavern inspired by one of the world’s deepest saltwater sinkholes, Dean’s Blue Hole in the Bahamas, with multiple levels of “cliffs” to jump off of. 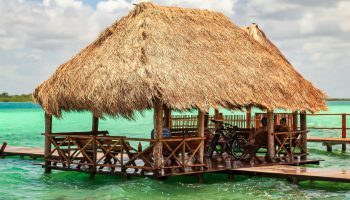 If that doesn’t float your boat, there are five other pools to enjoy, featuring in-pool cabanas surrounded by trickling rain screens and swim-up aquariums filled with adopted nurse sharks, stingrays and tropical fish.